This book is so much better than my first impression led me to believe it was going to be when I first received it in the mail. When I first received this book at home and I opened the package I saw the apple on the front cover and groaned. 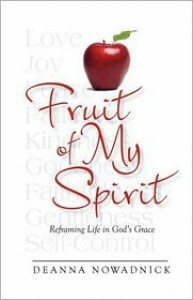 I'm so tired of the archetypal image of the apple in spiritual books. Then I turned it over and I saw the price listed on the back cover ($12.95) and I was surprised. I received this book as an ARC from the author and I hadn't considered the price yet. I don't normally even look but for some reason it caught my eye. It is $12.95 for less than 100 pages and the overplayed apple on the cover? My high hopes for this book were falling fast. Once I started reading it I was engrossed in Deanna's story and I love her writing style. She is so personal and so intimate with the reader. She is so open and honest about her life and her story. I'll admit, I fell hard for this book. I related to her tantrums and stubborness as a child. I didn't think there was any child in the world as obstinate as I was in my early youth. I loved reading about her journey through life and it was very inspiring the way she related everything back to God and her faith. The most minor of experiences like childhood camping trips through her marriage and raising her children are all related back to scripture and how she was able to see God moving in her life and leading her in His salvation. 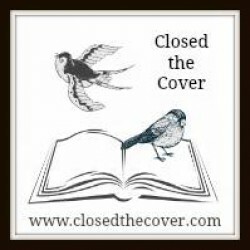 This book is warm and loving from cover to cover. By the time I closed the last page I felt saddened to let the story go. So, forgive the archetypal overused apple and pay the $12.95 because I promise you it is worth it.